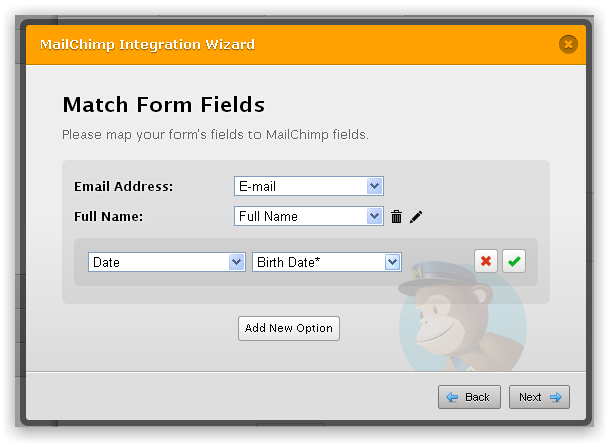 How I can to send birthday date to Mailchimp? Can send just 2 fields: email and full name. Will be better to send birthday date. How I can to do that? Adding Birthday date to the mailchimp list is not possible. MailChimp's birthday fields can only accept month and day values, i.e., in MMDD format only. None of the built-in date fields on JotForm matches this format. That is the reason why we have not included it in our integration wizard.